BTS Takes ARMYPEDIA to Spotify! ARMY, the global hunt for QR Codes continue to Spotify! 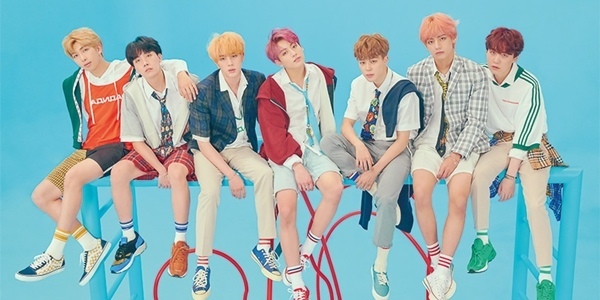 Just last month, Korean group BTS launched ARMYPEDIA, a campaign which gets the fans up on their feet, and in search for QR Codes literally anywhere and everywhere! Here, fans go on an actual (and virtual) scavenger hunt, where they look for puzzle pieces - in the form of QR Codes - from all around the world. This will eventually let them create an archive of BTS' fondest memories from their debut to the present date. That means 2,080 puzzle pieces for the 2,080 days that BTS and ARMY have spent together! For the last leg of ARMYPEDIA, Spotify is jumping in on the fun! Happening from March 19 to March 24, Spotify lets ARMYs go in a collective effort to find special edition Spotify x BTS puzzle pieces scattered all across their app, and their social media platforms! After scanning the QR Code, users will then be led to the campaign's official website where they have to answer a trivia question before uploading a piece of their memory on that specific date. This time around, the quiz will mostly be about Spotify-related BTS questions, so you would have to look out for streams, playlists, charts, and of course, BTS' music on the app for hints! To know more about ARMYPEDIA and how it works, you can check out the official website for information on looking for QR Codes, solving puzzles, uploading memories, and gaining points. While you're at it, make sure to stream the This Is BTS playlist on Spotify to get you even more hyped and excited for the upcoming comeback!